On Saturday, Sept. 29, the Merrimack Reparatory Theatre showcased the developmental workshop of Jack Kerouac’s “The Haunted Life” at the Comley-Lane Theatre in Mahoney Hall on UMass Lowell South Campus. The stage reading was presented in partnership with the UMass Lowell theatre arts program and the UMass Lowell English department. Marketed as ‘a new play from Lowell’s native son Jack Kerouac,’ “The Haunted Life” is based off of a manuscript that Kerouac was believed to have lost in a taxi cab in New York City in the 1940’s. According to Professor Nancy Sellek, the manuscript was discovered by a Columbia University janitor, and turned up at an auction in 2003. 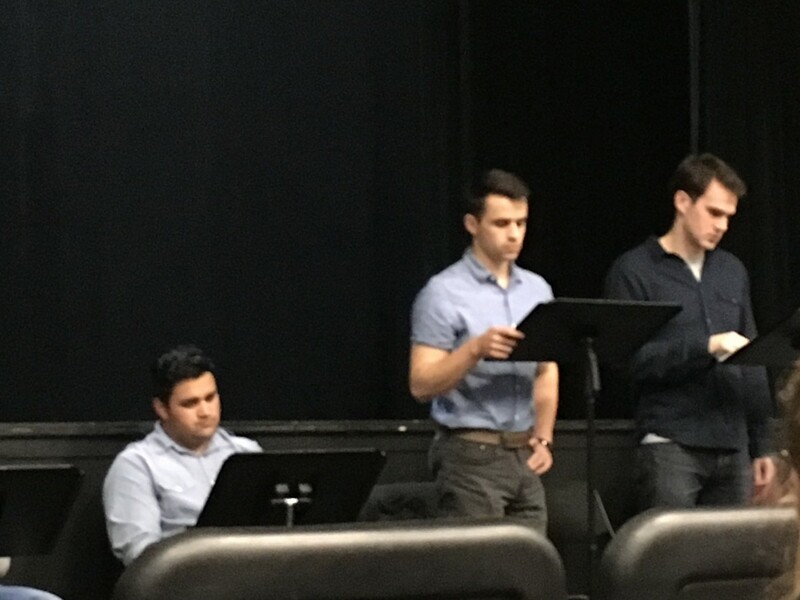 The play will be directed by Sean Daniels, the director of the Merrimack Reparatory Theatre, who previously directed the play “The White Chip,” which ran at the theatre during their 2015-2016 season, and Christopher Oscar Peña, and will be produced in collaboration with the Estate of Jack Kerouac. “The Haunted Life” is a family drama and coming of age story, set with the backdrop of the early 1940’s just as America enters into World War II, and follows college student Peter Martin as he struggles with his identity and relationships, especially with that of his conservative father. The stage reading that was shown to the public on Sept. 29 in the Comley-Lane theatre was the first time that the play was being shown in any form to the general public. Performing the script and the roles during the reading were eight students from UMass Lowell, under the direction of Daniels and Peña. The reading of the play, which is still in development, was around two hours long with a ten-minute intermission between the two acts. “The Haunted Life” will run at the Merrimack Reparatory Theater from Mar. 20 to Apr. 14 of 2019. Audience events will include a cookie matinee on Mar. 27, an ask the artists event on Mar. 28 and Apr. 4 and ladies night also on Apr. 4. Tickets and information are available at the Merrimack Reparatory Theatre’s website.